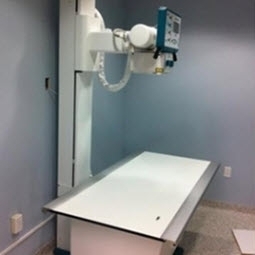 At Yorktown Vets, we have the latest in digital X-ray technology. Using digital imaging reduces the amount or radiation received by your pet and allows for the highest quality images just seconds after shooting. Digital images also allows us to email images to reffering veterinarians and specialist all over the country with just the click of the mouse.